Home Dog Price List Saint Bernard Saint Bernard price & cost range. Where to buy Saint Bernard puppies? Saint Bernard (or St. Barnhardshund, Alpine Mastiff, Bernhardiner) is the Swiss dog breed that has quite ancient origin and appeared thousand years ago. 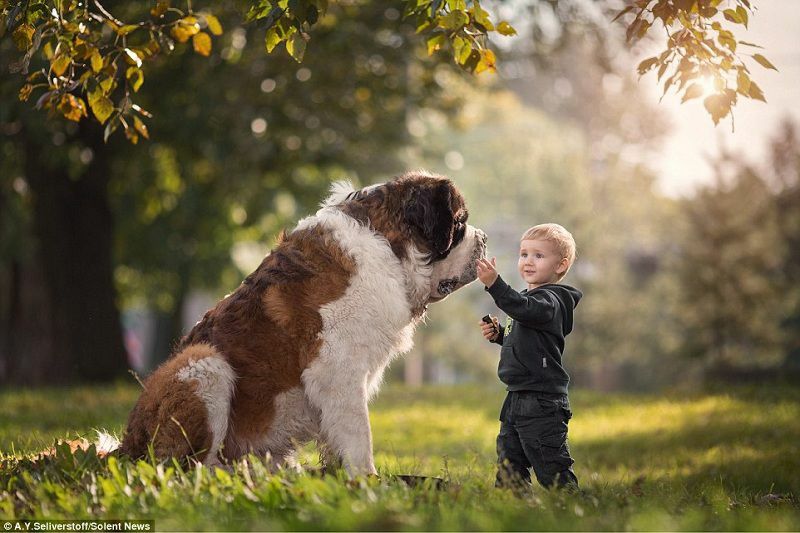 Although Saint Bernard dogs have giant appearance, their personalities are very calm and gentle. Saint Bernard price is not very high at the present, averagely around $900 for puppies raised as pets. In this article, we will share detailed information about prices, reliable breeders and websites selling Saint Bernard dogs. Based on raising purposes and quality, Saint Bernard dogs are divided into 2 different categories in terms of prices: limited registered Saint Bernard dogs (raised as pets only), fully registered Saint Bernard dogs (allowed for breeding). Saint Bernard dogs raised as pets only have prices ranging from $800 to $900. Saint Bernard puppies are often and mainly raised in places such as rugged terrains, snow-covered areas or large areas. If you live in such places, raising a Saint Bernard puppy helps you feel much cooler and happier. Great Pyrenees price. Where to find Great Pyrenees puppies? Fully registered St.Bernard puppies have permission to be propagated; their prices are greatly fluctuated and depended on breeder’s location, bloodlines, genealogy etc. Saint Bernard puppies with normal genealogy, from less reputed breeding farms, are usually priced from $900 to $2200. Saint Bernard puppies with premium descents and from reputed breeding farms will be priced at very high level, from about $2200 to $10000 or more than that for excellent puppies. >> Learn more: How much are Tibetan Mastiff puppies? Online pet websites are places where you can easily find a Saint Bernard puppy for yourself to raise him or her as pet. Saint Bernard puppies’ prices are varied and range from $600 to $1400 depending on quality. https://www.puppyspot.com/puppies-for-sale/saint-bernard/. This is the place that provides high quality Saint Bernard puppies that are from 6 to 12 weeks old and are suitable for being propagated. Although the number of Saint Bernard puppies here is not high, information about puppies here is published clearly, transparently and detailly. Therefore, this is also a reliable place for your reference. Prices of puppies range from $2000 to $2200. http://www.puppyfind.com/saint-bernard-puppies/. You can find Saint Bernard puppies from 3 to 16 weeks old with both kinds of gender here. Saint Bernard price here is more reasonable than that at Puppyspot, and fluctuates from $800 to $1200 depending on puppy’s size. https://www.pets4homes.co.uk/sale/dogs/saint-bernard/. Pets4homes is also a reliable dog website; this place offers a large number of Saint Bernard puppies with complete and comprehensive categories in terms of sizes, ages and gender. Puppy prices are also diversified and range from $600 to $1400. Breeders listed below are appropriate places for you to buy high quality Saint Bernard puppies that are allowed for breeding and for participating in dog shows etc. They have many years of experience in Saint Bernard breeding and specialize in breeding high quality Saint Bernard dog breed to join and perform in dog shows. For them, caring and breeding puppies are their pleasure and love with their friends. Founded in 1996, Lasquite is the place specializing in creating beautiful, strong and high quality Saint Bernard dogs. 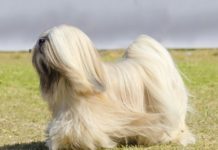 Lasquite got “Best of Breed” award in 2012 and many other awards in breeding this dog breed. Therefore, Saint Bernard price at Lasquite is much higher than that at other professional breeding farms. Von DuewerHaus is a family with 4 generations specializing in breeding Saint Bernard dog breed since 1992, at a private breeding farm in Illinois center. They are highly experienced and very famous for breeding Saint Bernard dog breed. Saint Bernard dog price here is quite high, but you could completely feel secure about their quality and prestige. Saint Bernard is a dog breed with giant body, strong muscles and solid bone. Saint Bernard puppies can weigh up to 25 pounds. Saint Bernard’s smell is very sensitive, they can find out people deeply covered by a thick snow layer, hence, they are usually used as rescue dogs at snowy mountains. 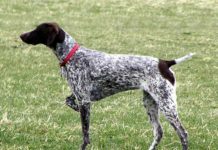 This dog breed has small eyes, large and prone ears, long tail and drooping hair. Saint Bernard coat has 3 layers: 2 coarse outside layers and one smooth and soft inside layer. Thanks to their thick and dense coat, Saint Bernard dogs can grow up at harsh climate areas such as snowy areas. Their coat has 2 main colors: white and red or gold brown or mahogany. Saint Bernard temperament is much warmer than the appearance. This dog breed is very mild, and does not usually change emotions (happy or angry, over fierce). 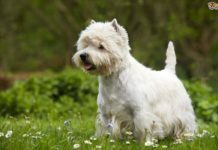 This dog breed is always friendly to everyone, from the elderly, the young to other animals. Saint Bernard dogs are intelligent and obedient. They are never naughty or destroy furniture in the house. They are extremely gracious and helpful. Saint Bernard has become famous all over the world since the middle of the 17th century when they participated in the avalanche rescue near Hospice and greatly contributed to save more than 2000 people in this disaster. Afghan Hound price range. Where to find Afghan Hound puppies for sale?